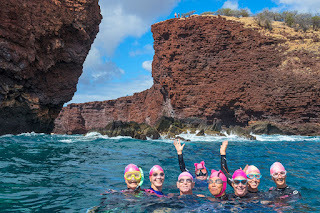 The Maui Pink Cap swimmers went to Lanai on Saturday to celebrate multiple recent birthdays. Surprisingly there were no major injuries this time around. 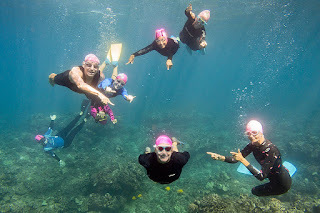 Click HERE for lots more photos of our adventures on another island.